How to Write Vivid Character Descriptions: Be Invisible! One of the most difficult areas of description is when it comes to showing the appearance of a protagonist, especially when writing in first person POV. We need readers to “see” our protagonist, but how do we deliver description that feels natural and active? 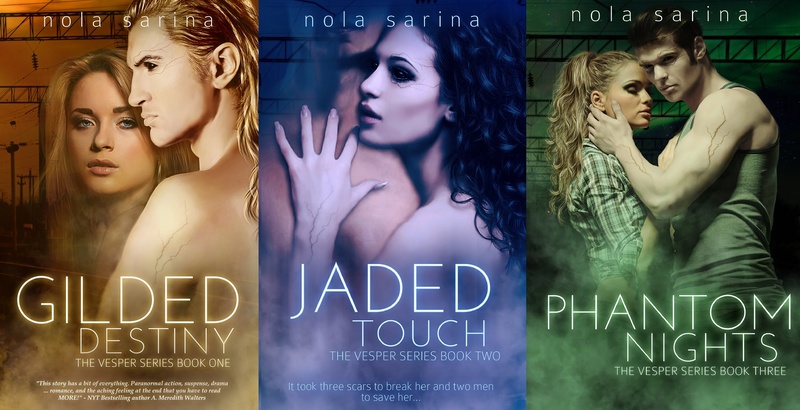 Luckily my friend Nola Sarina, Author Extraordinaire, is here with terrific advice on using Voice & Being Invisible to convey details not only about the main character, but the rest of a story’s cast. Please read on! Most authors have encountered the advice: “Avoid the dreaded mirror scene!” Why? Because using a mirror to describe your main character is a crutch upon which many authors rely to give their readers a visual snapshot of the characters in a book. But giving a snapshot not only interrupts the flow of a scene, it also reminds the reader that an author wanted them to see something. To make an authentic, deeply-connected bond between reader and character, the author must immerse the reader in the character’s voice and stay out of the character’s way. So how do you stay out of the way and give your reader a vivid, visual connection with your characters, without interrupting the flow of the moment? Physical description of a character only matters if your character has a reason to acknowledge it. Your main character will likely notice the thick, curly red hair of the girl she has a crush on. But will she notice her own straight, faded-red hair and her clothing choice of the day? Not likely, unless it directly applies to the moment. Even then, it must be laced into the scene in a delicate way so the reader does not recognize the author’s desire to show the character’s appearance. So how can you get visual imagery across without resorting to a mirror or forced-feeling self-observations? I tried to keep my cool, tossing my long, faded-red hair over my shoulder as the popular but judgy Sarah raked her critical glare over me. Her freckles wrinkled along the bridge of her nose. Wearing black leather pants and a black tank top, I was a stark contrast to her blingy, Barbie-pink look. When I am faced with an apprehensive encounter, I don’t often think about the fact that my hair is faded, or red, or long. I just toss my hair. I might try to convey a certain attitude with the motion, but I don’t think about the color or the length until it applies to the moment. I also wouldn’t make clear-cut observations about my antagonist’s popularity (though the reader absolutely needs to know these things) because these observations are largely situational and intuitive. The same is true for my outfit or surroundings. In a situation where I don’t fit in, I’m focused on the reactions of those around me—or my own reaction to their apprehension—not the colors, sizes, or styles. So while this example isn’t wrong, it interrupts the action of the scene to give your reader a snapshot-view of the characters in the author’s voice before moving forward. It’s a bit like saying, “Look at these characters and then I will show you what they do.” But to seamlessly integrate the description and the action in a continuous flow, the author shouldn’t say anything at all. Rather, the main character says, “Come with me, let’s go!” and flows right into the story without reminding the reader that it was once imagined and written by someone else. The author should be invisible every step of the way. Don’t use description dumps to give your reader a chance to see the appearance of your character. Instead, give your character a chance to show their appearance to your reader through voice and action. I tried to keep my cool, tossing my hair over my shoulder. But a long, faded-red strand swung too far around my head and whipped me in the eye, earning a smirk from Sarah as she raked her critical glare over my figure. Her friends, sparkling like Barbie’s closet in pinks and bling, moved in to form a half-circle around me, reeking of popularity and judgement. “What is this, the Goth Club?” Sarah said, wrinkling her freckled nose at my all-black-and-leather look. This way, your reader still has a sharp, vivid picture of every character in the scene (including the main character), and sees these things as they happen—as they matter—rather than pausing to study a snapshot of characters in the scene first. Making sure that your character is the one who tells the story, not you, keeps your author voice out of the way, and allows your readers to immerse completely into the experience of the character. By becoming an invisible author, you encourage your readers and your characters to connect on an intimate, authentic level through the journey they take together. Nola Sarina lives in Southern Alberta, Canada with her husband and three children. 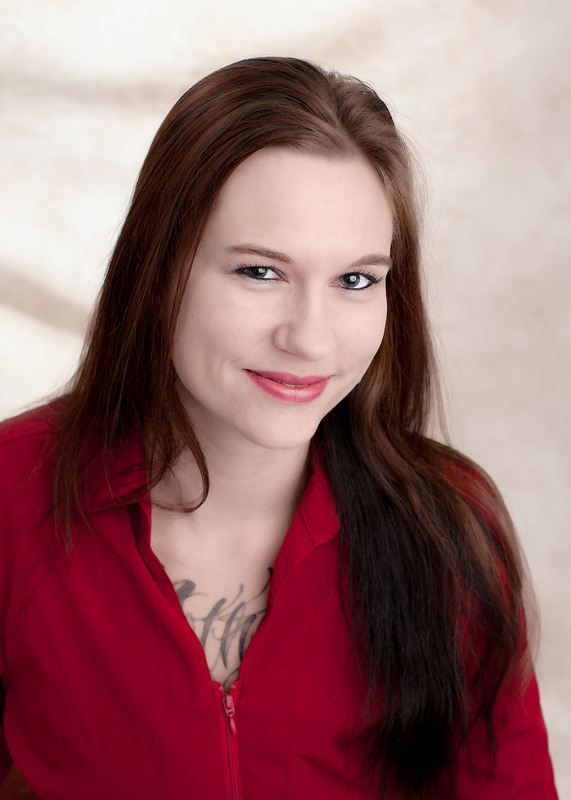 Born in Minnesota and raised to appreciate reading and writing of all types from an early age, she found her favorite titles within the genres of dark fantasy, science fiction and romance. She is the author of the dark fantasy romance Vesper series, and also writes paranormal romance and erotica with co-author Emily Faith. Please stalk her on Facebook and Twitter! A woman’s memory returns when she falls in love with the monster who took it from her. The darkness Samantha’s faced in her life pales in comparison to what she’ll face to save the demon she loves. Do you try to be an invisible author? What do you struggle with most when it comes to writing character description? Let us know in the comments! This entry was posted in Characters, Cliches, Description, Experiments, Guest Post, Point of View, Uncategorized, Writing Craft. Bookmark the permalink. 37 Responses to How to Write Vivid Character Descriptions: Be Invisible! I love this. Very encouraging. And I’ll always keep this on my side as I write on. I’m not going to lie, this is really, really hard to accomplish. I’ve read plenty of seasoned authors’ works who don’t even know how to do this. Still working on this particular skill myself. My method is writing the characters like they’re in a play, making sure they interact with every prop and piece around them, and inserting physical descriptions in that way. However, that’s not always the right way to do it either. It’s difficult. for sure. Very enlightening. Looking back on descriptions of my characters, I’ve written them wrong–they’re dumps. Thanks for the clear, easy to understand advice. Nola, I’ve been trying to put these ideas into words for a while now – thank you for doing such a wonderful job at it. Your examples are clear and fully illustrate your point. Thank you! I can understand it, see it in your wonderful examples, and yet, find it very difficult to do. Thanks for the tutorial, though. Maybe you could try giving each description an action, and then looking to see which ones can be spaced out over a few paragraphs? Hair swings, swishes, slaps us, falls out. Clothing snags on stuff, cinches too tight, drops off a shoulder. Trickle these detail/action combinations in through the course of your opening chapters. I hope this helps! Excellent points, Nola. And so well-expressed. Love your example! I give similar advice to authors in my upcoming book, Captivate Your Readers, out Feb. 28. All about stepping back as the author and letting the readers make a direct connection with the characters, as you recommend here. So glad we’re on the same page! Maybe I’ll see you at WWC in Calgary in August? Very helpful post. Loved the before and after examples . Really showed me exactly what you are talking about. I think one of the toughest things to work into a story is the color of the pov character’s hair. Great advice. Thanks. It’s always a challenge, same with things like weather. “It was raining” is informative but distancing. “Torrents of rain splattered the windshield, obscuring my view of the vehicle in front of us…” Still tells the reader it is raining but doesn’t break away from the character’s personal moment, and establishes mood and stakes, too. As said in a self editing book I go by, the first question to ask here is ‘How far?’ This type of line is just as bad or worse than the mirror scene. Certainly there are other ways to handle this rewrite, but here I feel compelled to point out that Nola acknowledges your concern with the next line. The intent here is to show how physical details can be active and part of the scene, rather than act as a red flag of the author’s intent to toss lump description at readers. I appreciate your concern about the line, and as editors/writers we are often prone to editing with a very literal eye. But when I have annoying strands of hair hanging all over my neck, and there’s sweat or static or I’m trying to look confident even though I am feeling irritated, the most accurate description of the action I take to get my hair out of my way is to “toss it.” A gentle brush or adjustment just doesn’t cut it. Be cautious not to paint the whole text beige and bland when editing with a literal eye. Colourful language is both common and acceptable, particularly in genre fiction or first person. Terrific little article. Beautifully illustrated and appealingly succinct. Worthy of passing on. Cheers! I also love before and after examples in writing. Thanks! Oh, and we’re fellow Canadians.